In his recent decision in the case of Nationwide Mutual Fire Ins. Co. v. Norton, No. 6557 of 2013 (C.P. Luz. Co. Oct. 24, 2014 Burke, P.J. ), Judge Thomas F. Burke, Jr. granted Nationwide’s Motion for Summary Judgment in a declaratory judgment action on the issue of coverage under a homeowner’s policy. 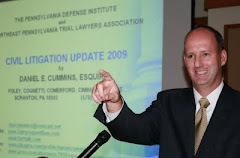 Judge Burke framed the issue before him as involving a question of whether, under the subject Nationwide Insurance policy covering the real estate and residents own by Christopher and Rose Norton, Nationwide has a duty to defend or indemnify them for injuries sustained by police officers while arresting Christopher Norton on the property due to an alleged domestic dispute. After a review of the policy language at issue and the relevant case law, Judge Burke ruled that Nationwide did not have a duty to defend or indemnify the insured Defendants in the underlying claim pursued by the injured police officers. According to the Opinion, the police officers had responded to a call placed by Norton’s wife with regards to a potential domestic dispute. During the course of responding to the call, the police officers were injured while arresting Christopher Norton. The subject Nationwide policy had an Intentional Acts Exclusion as well as a Criminal Acts Exclusion. The Criminal Acts Exclusion expressly provided that the Exclusion applied regardless of whether the insured was actually charged with, or convicted of, a crime. Judge Burke set forth the relevant case law for coverage declaratory judgment actions which requires that the allegations of the underlying Complaint be reviewed against the language of the insurance contract. Moreover, where the language of the insurance contract is clear and unambiguous, the court is required to give effect to that language. The records before the court confirmed that the insured, Christopher Norton, was arrested, charged criminally, and pled guilty to several counts of simple assault and a single count of resisting arrest. It was equally clear to the court that the insured had admitted to acting with a mens rea of conduct other than negligence when he committed these criminal acts by virtue of his guilty plea to the criminal charges. 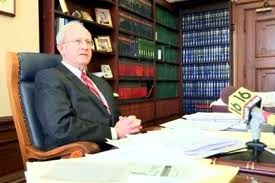 Judge Burke also ruled that the alleged injuries sustained by the police officers were indeed a result of the insured’s criminal acts as opposed to any negligent personal acts or negligence arising out of the ownership, maintenance, or use of the real or personal property covered by the policy. Ultimately, Judge Burke ruled that the allegations of the Plaintiff’s Complaint failed to invoke the personal liability coverage provisions of the policy and also fell under the liability exclusions listed elsewhere within the policy. As such, the court granted the Motion for Summary Judgment filed by the carrier and ruled that Nationwide was not legally obligated to defend or indemnify Defendant, Christopher Norton, in the underlying action arising out of the insured's criminal assaults that resulted in injuries to police officer(s) during a domestic abuse situation that occurred in the insured's home. Anyone desiring a copy of this Opinion, which contains a thorough recitation of the duty to defend/indemnify analysis for insurance coverage actions under a homeowner’s policy, may contact me at dancummins@comcast.net.